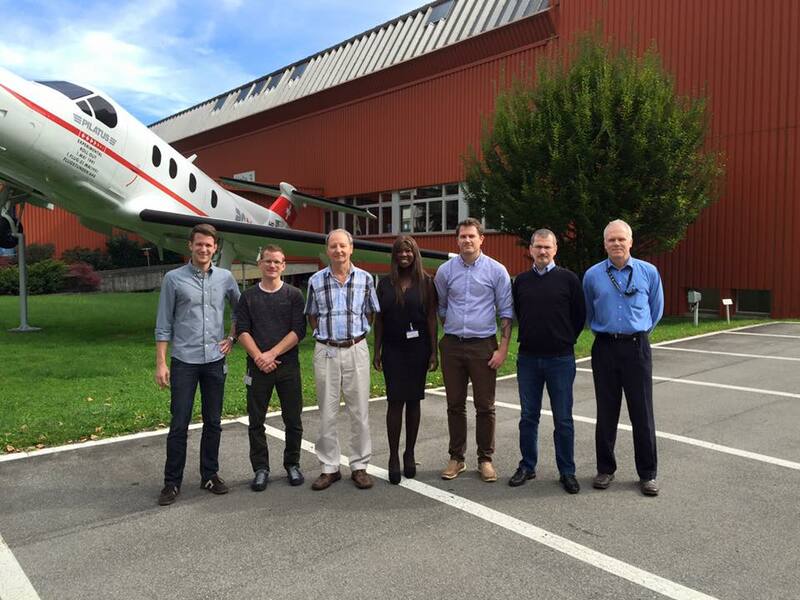 DETA visited Pilatus Aircraft Ltd. in Stans, Switzerland on October 5th. CEO Margot Jensen, Senior Analyst Kristoffer Magersholt and Quality manager Christian Dannesbo met with Dudley Baines, Pieter Delen, Floor Heylen, Dominik Stephani and Thomas Syfrig from Pilatus, to discuss the current relationship between DETA and Pilatus and how to continue the great collaboration in the future. The meeting yielded great insight into the needs presented by Pilatus in terms of the product DETA is currently delivering. Deliberations regarding the format of reporting between DETA and Pilatus has resulted in a more optimal product delivered by DETA tailored to the requirements of Pilatus Aircraft Ltd.